What are your memories about your last workshop or learning event? How was the atmosphere? How did you feel? When I think back to my last workshop I attended as participant I remember smiling faces. 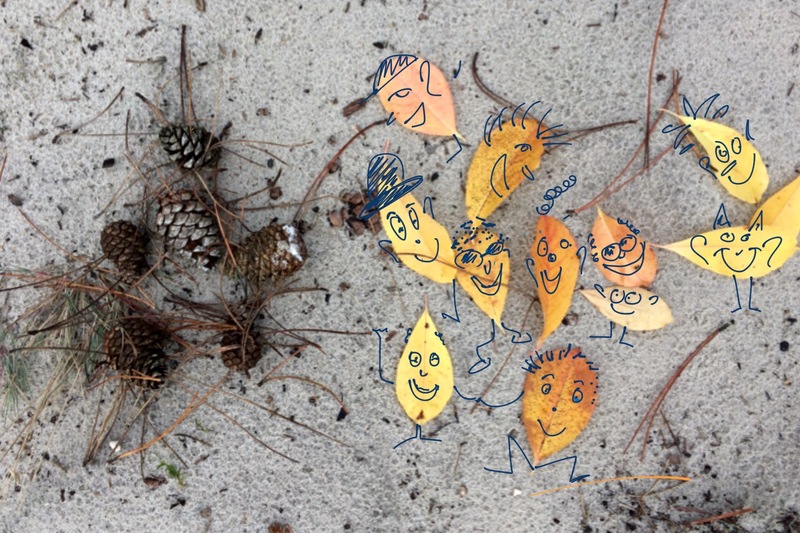 We played and experimented, we were drawing a lot – all of us – and we laughed a lot. In this Gamestorming workshop everybody was engaged. There were many moments of play. It was fun, delightful and amusing. And I learned a lot in a playful way. I am convinced that playfulness makes learning lighter, more engaging and more fun. In my search for more playfulness in learning I came across some great players and thinkers. Bernie De Koven, an American game designer, author, lecturer and fun theorist is one of them. For Bernie De Koven playfulness is a way of being, essential in any aspects of life. Playfulness is more than a state of mind, it is a way of being. You can’t make people playful. You can’t make a game that will make people playful. But you can invite playfulness. … and curious, and creative, and spontaneous, and open-minded, and lighthearted, and delightful, and joyous, and humorous, and cheerful. And silly sometimes. Enjoying. Always with a smile. If playfulness is an inner state of mind, a way of being and an attitude of seeing the world then play must be other side of the coin. When we play we are playful. When we are playful we are in play. For Ian Bogost, writer, game designer and author of Play Anything, playfulness is in the things around us we can play with. Things are playable. Playing with things is testing its function; figuring out how something works includes manipulation and observation. You can experience play at work, not because you’re messing around or wasting time or something, but because you’re looking really deeply and seriously at things and asking what is possible, what can be done with them, what new ideas might emerge? For Mathias Poulsen, founder of the CounterPlay festival in Denmark playing is experimenting with possibilities and exploring the unknown. (…) play and a playful attitude is necessary to navigate complexity, and I basically think that we’re better equipped to live in this chaotic world if we’re playful. Play opens our minds towards the world and people. In play, anything is possible. The entire world could be different. Your imagination is set free, your creativity runs wild, and your most crazy ideas may be the most meaningful ones. You take risks, and sometimes you end up in unexpected and perhaps even controversial territory. Through Bernie De Koven, Ian Bogost and Mathias Poulsen I understood that play and playfulness is more about us; how we are and how we live our life; how we approach challenges and daily tasks in our work; and and how we are together with others. Creating the atmosphere for participants to connect and to open up. Inviting participants to engage as active players and learners. Including play for exploring the unknown. Being the playful facilitator guided by our own curiosity. In the next blog post I will enquire why playful learning is better learning.